On the second day in Scotland the adventures took me over to the Isle Of Mull, the second largest island of the Inner Hebrides. The day began early in the morning and was a full day of exploring and travel. The Isle of Mull is a fantastic quick getaway if you’re looking for some stunning sea views and boat adventures. As the Isle of Mull is an Island out to sea it means the only way to get there is by ferry. The journey across is so pleasant, it took about an hour in total to get from the mainland over to island. You can board the boat by foot or by vehicle and then venture up to the viewing deck if the weather is nice or enjoy a comfortable seat inside, away from the strong winds and rain. The views are so beautiful so I fully recommend going up to the top deck to embrace the views. Which is what I did on both journeys there and back, and despite the weather and chilly wind it was worth every minute. 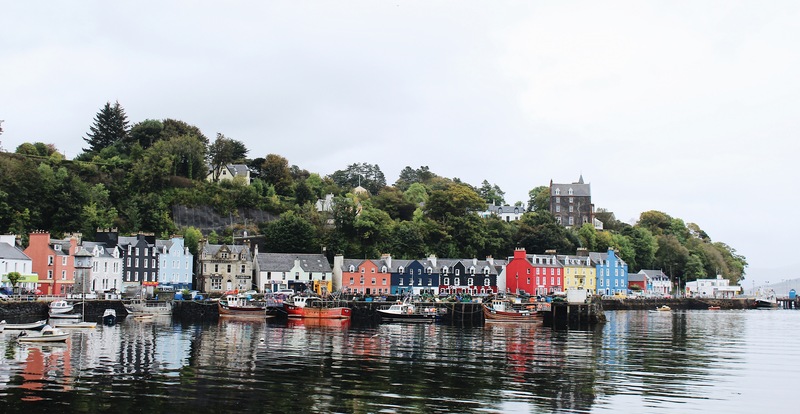 This blog post will show the highlights of my journey over to the Isle Of Mull, my time in Tobermory (aka Balamory) and all the photos I took along the way. This is the town of my childhood dreams, I used to watch a show called Balamory most days when I was a little girl and I finally got the chance to visit there all these years later. And yes.. I did sing the Balamory theme tune when I was there. The ferry back was lovely, the rain had cleared away and the sun was just poking out of the clouds which meant I could see the views around for miles. 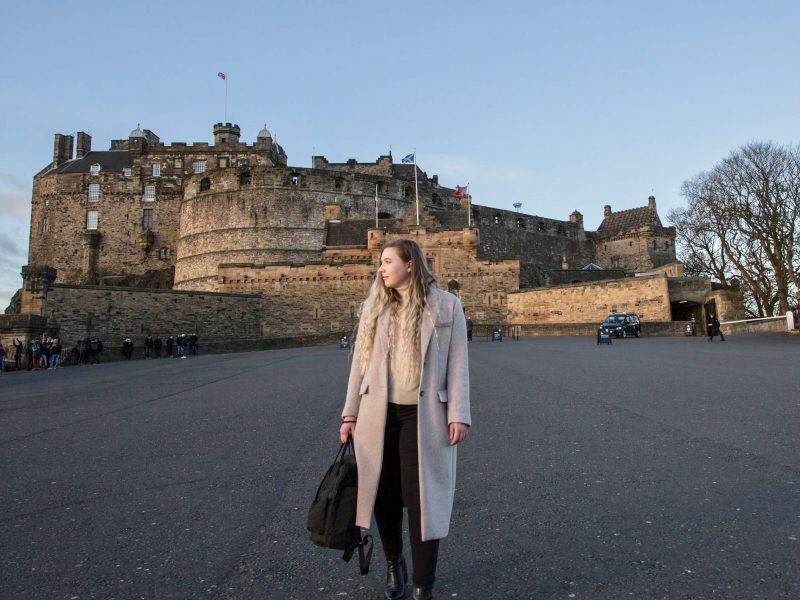 Have you ever been to Scotland? If so what part of Scotland have you been to I would love to find out. I love the colors of the homes and the white lighthouse. It is so different from the northeastern part of the US where we live. 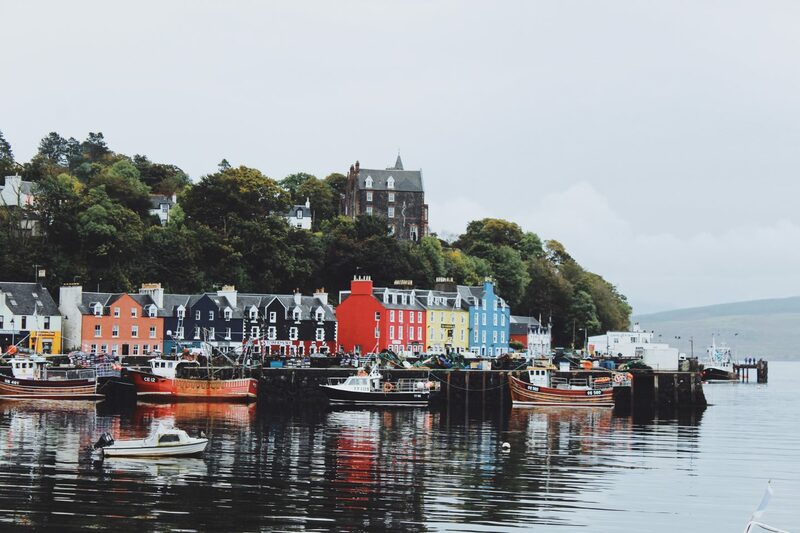 Not everywhere in the Uk looks like this, sadly 😅, most houses are bricks and plain in colour, its just this little town in Mull which is painted these really cool colours. My family came from Ireland three generations ago. They lived in the coast and the homes there are very colorful also. I like it. Oh wow, that is so cool. It is a shame that not everywhere in the world looks this colour and vibrant. Gorgeous photos! This place looks so pretty.